Spotify runs its first full-length music video | What Hi-Fi? It's part of a promotional campaign for Sony Music for a new Hendrix compilation, and the Spotify homepage has been reskinned to highlight the exclusive. 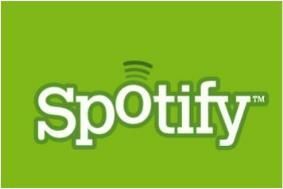 As it's effectively an advertisement, the video will only be seen by free users of the service – Premium users of Spotify get no ads. Spotify Premium users will get the album to stream exclusively from next Thursday, a few days ahead of its official release. The video involves re-imagining a Hendrix performance at Glastonbury, including a cameo from festival boss Michael Eavis.